When Mo Farah and the rest of the 57,000-strong field approach the three mile mark in Sunday’s momentous race from Newcastle to South Shields, it will be a rather fitting collision of the worlds of great north runners past and present. On the road to the coast, Mo and Co will be making history as part of the mass of humanity pushing the all-time tally of finishers in the Bupa Great North Run beyond the one million mark. On their left-hand side, as they make their way along the 13.1 mile route, stands an earlier landmark to the sporting vision of Brendan Foster. In his peak as a world-beating distance runner, Foster persuaded Gateshead Metropolitan Borough Council to install a synthetic running track on the site of the old Gateshead Youth Stadium with the promise of christening it with a world record. 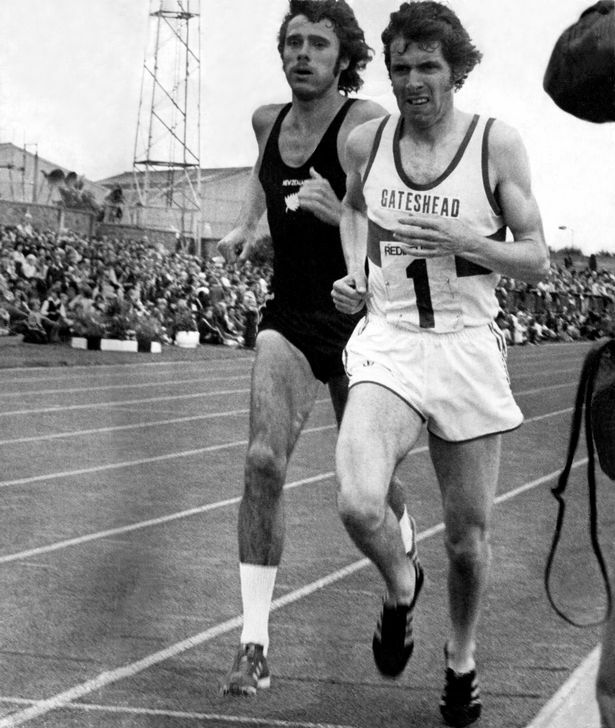 The Tynesider fulfilled his pledge and put Gateshead on the global sporting map with a world record breaking 3,000m run at the grand opening of what is now Gateshead International Stadium in August 1974. 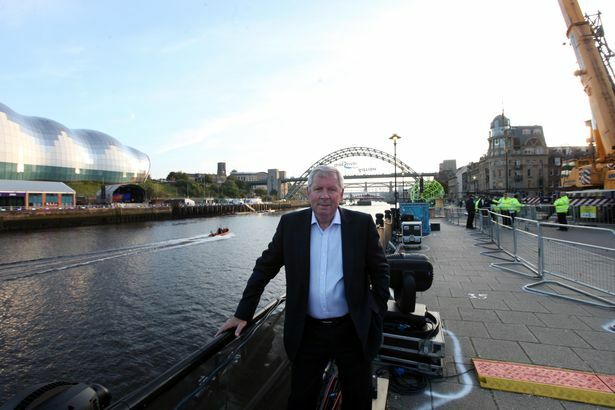 It was after hanging up his racing shoes in the wake of the 1980 Moscow Olympics that Foster had the brainchild of staging a mass participation run on Tyneside - and in June 1981 he was one of the 10,665 first-footers in the inaugural Great North Run. The Gateshead Harrier, who won a 10,000m bronze medal at the 1976 Olympics in Montreal, finished in 20th place. The race was won by one of Foster’s former rivals, Mike McLeod of Elswick Harriers, with the emerging young middle-distance man Steve Cram of Jarrow and Hebburn Athletics Club in tenth place. Both were to follow in Foster’s footsteps as Olympic medal winners from Tyneside, claiming silvers in Los Angeles in 1984. 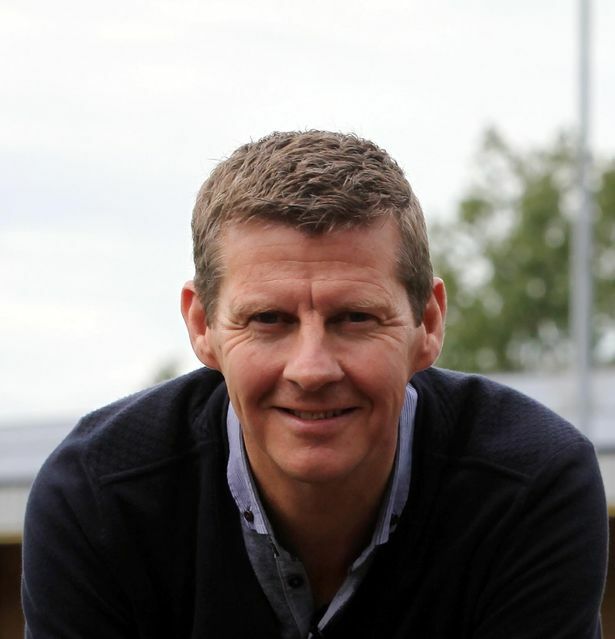 Foster will be sitting alongside Cram in the BBC television commentary box on Sunday. When Farah and the rest of the lead pack reach Gateshead International Stadium, it’s a fair bet that the Great North Run founder and chairman will be thinking not just of the field of his former sporting dreams, which stands on the left of the Felling by-pass, but also of a patch of unmarked land just up the hill on the right. Above all else, Foster treasures the fact that the Great North Run keeps the spirit flowing of the Great North Sporting Pioneers of times past – long-forgotten greats like Jimmy Rowan, who lies buried in an unmarked pauper’s grave in Gateshead East Cemetery. Rowan was one of the great north runners who emerged from the heyday of “pedestrianism,” the sport of running for wagers, with huge public betting a stake that captured the popular imagination in the mid-Nineteenth century. Weighing just seven stone eight pounds and standing only five feet four inches tall, he raced in a black one-piece suit - hence his nickname “The Little Black Callant”, callant being a Scottish colloquialism for “lad”. Born at Oakwellgate, Gateshead, Rowan worked as an apprentice at the Hawkes and Crawshay Iron Foundry on the south bank of the Tyne. He became an overnight sensation when he entered the, then, shady world of professional running to supplement his meagre wages, winning the world ten mile championship at the age of 19 in London in 1858. Rowan also won the coveted world championship six miles belt before his love of fast living led to his tragic downfall. He died penniless at the age of 28 in 1864, found slumped in the yard of the Blue Boar public house in Gateshead High Street. White won the world ten mile championship race in 1863 and no man ran faster than his six miles time of 29 minutes 50 seconds until the great “Flying Finn” Paavo Nurmi covered the distance nine seconds quicker in 1921. Then there was Stephen Ridley - brother of Geordie Ridley, the music hall performer who wrote the words to the Geordie anthem, Blaydon Races. He won the British one-mile title in 1871, clocking a record 4min 20sec. Pedestrianism died off in the 1880s but memories of Rowan lingered on. The success that ‘the Black Callant’ enjoyed over longer distances was attributed to his regular training runs on the testing 14 miles of turnpike road between Morpeth and Newcastle. As amateur athletics clubs came into being at the turn of the century, Newcastle Harriers adopted Rowan’s old training patch as the route for their end of year “cross country” race and then for the annual Morpeth to Newcastle Road Race, which came into being on January 1, 1904. In its century of existence, “The Morpeth”, as the popular New Year’s Day race became known, helped to produce some of the greats of marathon running: Jim Peters, Jack Holden and Jim Alder. Alder has long been regarded as the trailblazer who paved the way for the North East Olympic medal winners of the 1970s and 1980s: Foster, McLeod, Cram and Spedding. A brick layer from Morpeth, Alder won the Commonwealth Games marathon in Kingston in 1966 and still holds the world’s two hour record. As a starry-eyed young hopeful, Foster would stand with his father watching Alder tear down the Great North Road every New Year’s Day in the vanguard of the Morpeth to Newcastle Road Race. 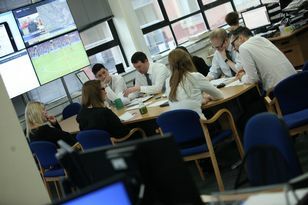 It was all inspirational fuel for the great north running success that continues to burn brightly.